HIGH QUALITY-AFFORDABLY PRICED This is a Best Value product for your Home or Business. It has an automatic infrared built-in sensor and microcomputer technology for accurate and stable control. It is designed to be long lasting. The manufacturer’s lab tested this product over 500,000 times without experiencing any problems. 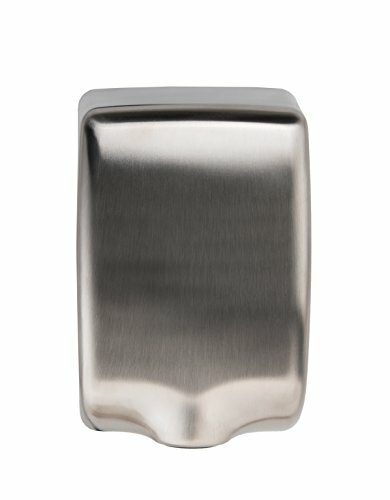 ATTRACTIVE AND EASY TO CLEAN The brushed stainless-steel cover is easy to clean and provides you with an attractive, contemporary look that is durable. The ANTI-BACTERIAL filter helps clean air as it circulates and is easily removed for occasional cleaning and re-use. 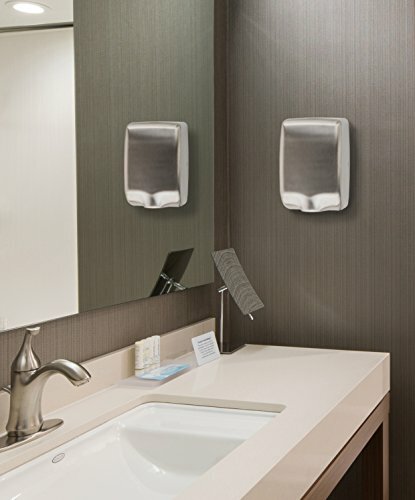 FAST-DRYING and SPACE-SAVING This Powerful High-Speed hand dryer features a Compact, space-saving design. Hands dry quickly (8-10 seconds) under the 224-mph velocity heated air – All this Strength in a dryer that requires much less wall space than traditional commercial dryers. SAVE MONEY Save up to 95% over paper towel usage. This dryer requires less electricity than many commercial units. 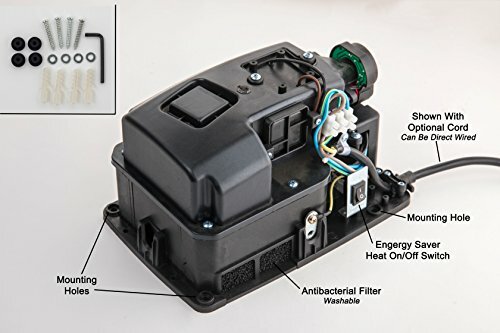 It uses just 1350 watts (110v/12a) for heated air OR turn off the heat switch located inside the cover and use just 500 watts (110v/4.5a) for room temperature air. 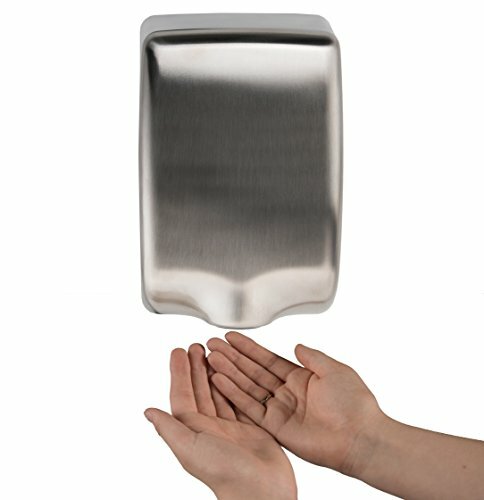 ECO-FRIENDLY and LESS MESS This hand dryer is both cost-saving and easier on the environment. Paper towel usage creates constant messes requiring you or your employees to do extra work. Valuable time is lost always having to re-supply towels. Cloth towels used by several people just aren’t sanitary. 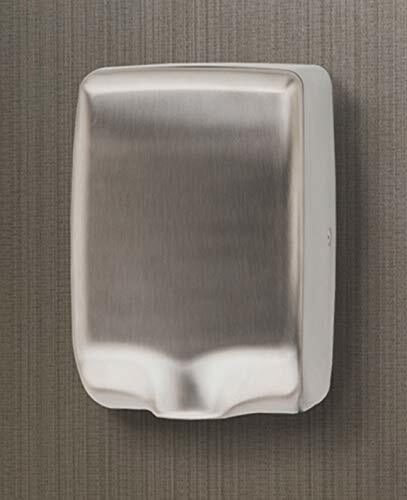 This hand dryer provides a great option for your business or home. 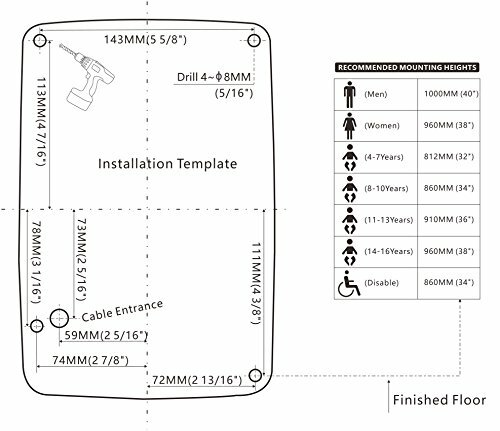 EASY INSTALLATION Just mark and drill holes using the template, put in the anchors, use screws to fasten unit to the wall, replace cover with the included hex-key tool, and plug in. This unit can be DIRECT WIRED as well. Please use a certified electrician for any direct wiring. 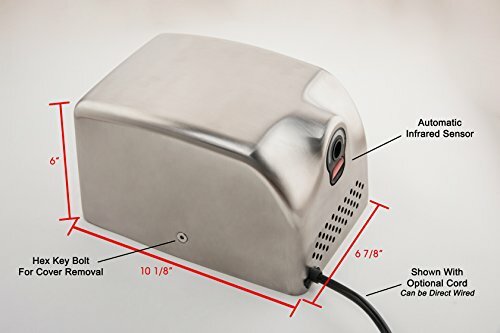 EASY INSTALLATION, Direct Wire or Simply Plug In, Great Wall Mounted air dryer for any size bathroom.